Only days before their newest ship will make an unusual appearance at the Rose Parade, Carnival Cruise Line held a “naming ceremony” for the float. Needing a little help with the ceremony, they turned to someone who knows a thing or two about the annual event: Rose Queen Loise Siskel. 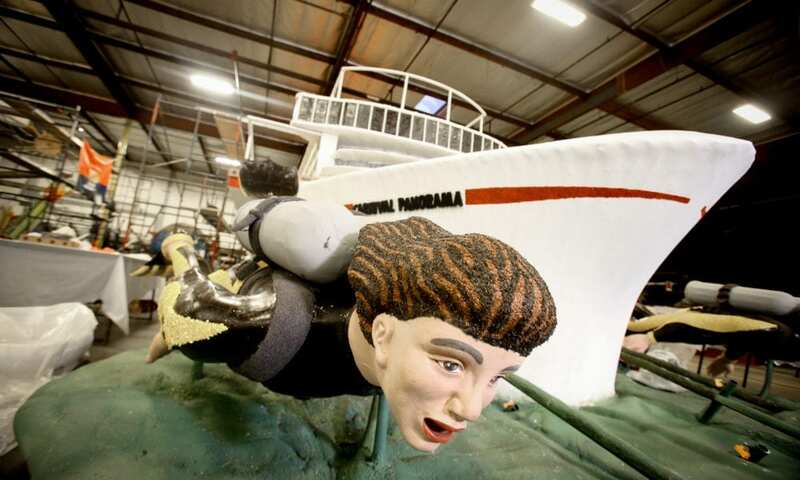 Carnival hosts the naming ceremony of their new ship, the Carnival Panorama, as their entry float entitled “Come Sail Away” float in the Pasadena Tournament of Roses, is assembled at Fiesta Floats in Irwindale on December 28, 2018. Following the naming ceremony, guests got to help decorate the float, which will be strewn with more thousands of flowers from more than 100 countries representing Carnival’s diverse team of employees. Joining him atop the faux ship will be Carnival Vista’s Godmother, Deshauna Barber. This is especially appropriate as the float will salute the members of the various armed services. As for the actual Carnival Panorama, she’ll make her first sailing out of Long Beach, California, on December 11, 2019. That will be a special three-day voyage, after which she’ll begin doing seven-day Mexican Riviera trips, year round, with the first departing on December 14.